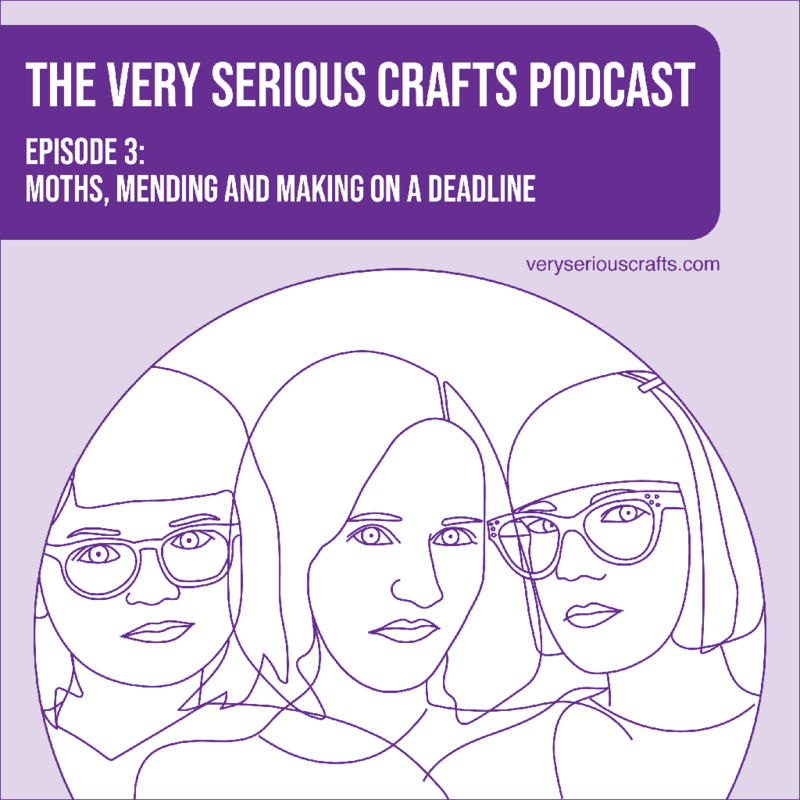 This week, episode 3 of The Very Serious Crafts Podcast dropped. And as has been the case with each episode so far, I laughed through almost the whole thing. Well, except for when I was horrified. For that to make sense, all I can say is, give it a listen. In "Moths, Mending, and Making on a Deadline", we chat about the things we're excited about and some tales of woe. And we invite you to grab of cup of coffee (maybe even a slice of cake) and join us. Oh, and be sure to check out the show notes, where you'll find more info and some fun and interesting links. If you haven't listened to my new podcast with Red-Handled Scissors and Hands Occupied, episode 3 is a great place to jump in (and then maybe go back and listen to the first two episodes too!). Of course, we'd love it if you subscribed so you don't miss a single episode. New episodes release every other Monday, and you can listen with a whole bunch of podcasting apps and feeds. You'll find them all on our website.